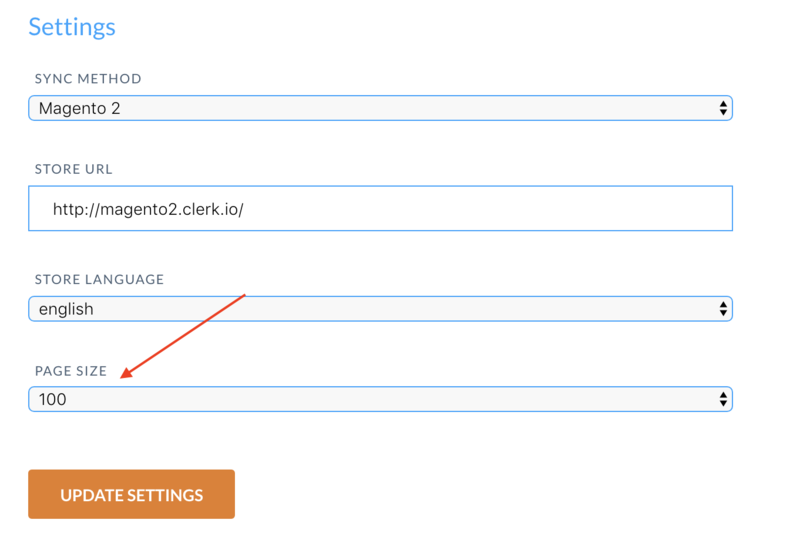 When importing data with Clerk.io's Magento 2 extension, the webshops server is responsible for sending the product- category- and sales-data to Clerk.io. However in some cases, the servers configuration might stop the import from getting access, causing an error in Data Sync. Below is a list of the most common errors and how to fix them. This error happens if your webshop/dev environment requires HTTP authentication to access it. This error happens if your server blocks the importer from accessing it. In most cases you simply need to whitelist the importers IP address to give it access. The latest IP address can be found here. First make sure that you have installed the extension correctly. Second, be sure to empty your webshops cache before trying a new import. This error happens if your server denies the importer access because of too many incoming requests. If you are using the host provider Byte.nl, the importer usually returns this error because of their rate limiter. In this case, simply contact Byte.nl and ask them to whitelist the importers User-Agent "clerkbot". This error mean that your server encountered an internal error and were not able to specify which error happened. In these cases you can check your Server Log to identify which process crashed and why. In most cases its simply because of a product with an invalid attribute, or a function that is called wrongly in the webshop. This error is usually temporary, and is caused by the server being too busy to handle the request. Try again a bit later. If the issue continues to happen, it could mean that the server is overloaded with processes, and is close to maximum capacity. Check the server load, to identify if this is the case.